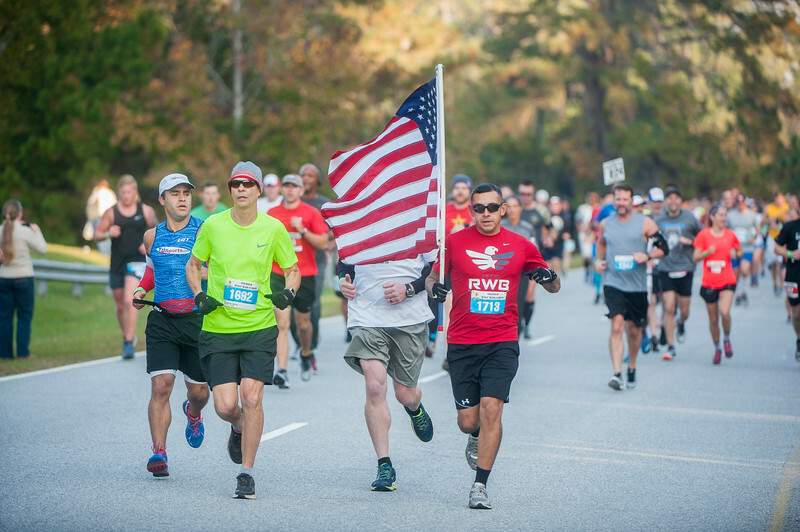 (Fort Benning, Ga) - Soldiers, civilians and members of the Army family participate in the annual Soldier Marathon Nov. 16. The marathon kicks off from the National Infantry Museum's Avenue of Flags. Since its founding in 2010, the Soldier Marathon has donated over $150,000 to military beneficiaries, and with the support of its runners hopes to continue that support.